A few weeks ago I was in the mood to do some festive baking - something simple and delicious. Cinnamon is one of my favourite flavours at this time of year and combined with one of my favourite things to bake (cookies), it seemed like the perfect thing to bake. I found a gorgeous recipe online and after tasting them I couldn't resist sharing them. 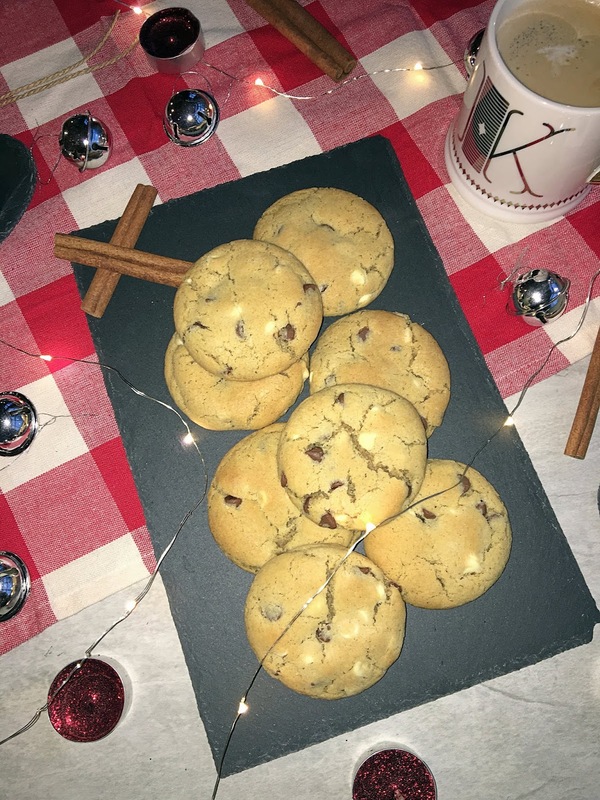 I found the recipe from the blog Kitchen Gidget, which is full of wonderful recipes, but this one is so so easy and a must-bake over the Christmas period! 2. Using a stand mixer or an electric whisk, cream together butter and sugar until light and fluffy. Beat in the egg and vanilla until combined. 3. Stir in dry ingredients and chocolate chips. 4. Roll the dough into balls, depending on how big you want the cookies and place on a baking tray lined with grease-proof paper. Put in freezer for approx. 30 minutes. 5. Bake at 180 degrees celsius for 10-13 minutes. Cool on a wire rack then ENJOY! 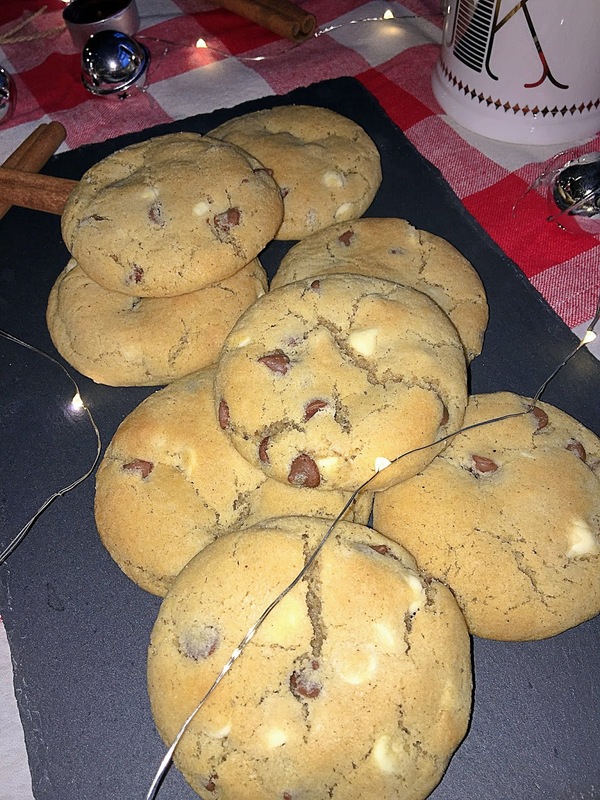 I hope you enjoy these cookies and be sure to let me know if you try them! You can find the original recipe here. And finally, HAPPY CHRISTMAS!